Photo by Carolina Nobre, Woods Hole Oceanographic Institution. 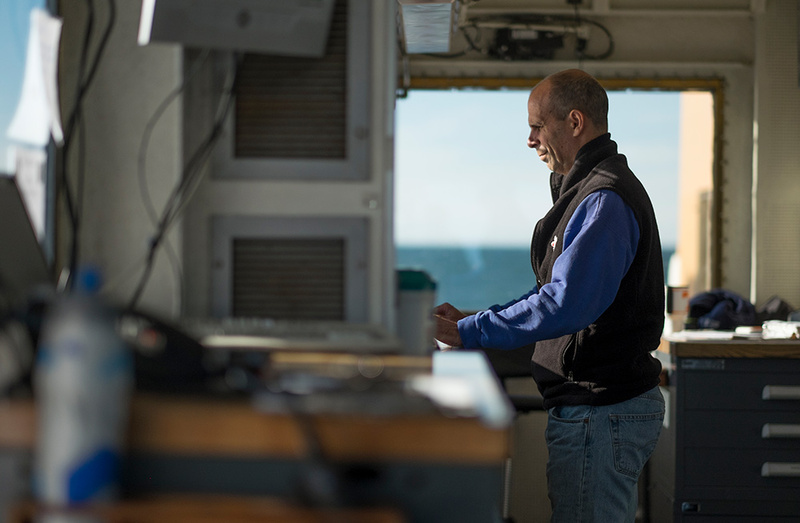 Robert Pickart is a senior scientist in the Physical Oceanography Department at the Woods Hole Oceanographic Institution. His research focuses on high latitude processes, including air-sea interaction, deep convection, and shelf-basin exchange. He does fieldwork in both the Atlantic and Pacific sectors of the Arctic Ocean using a variety of techniques. Over the years he has led dozens of research expeditions, often with an outreach component for school children and the lay public.